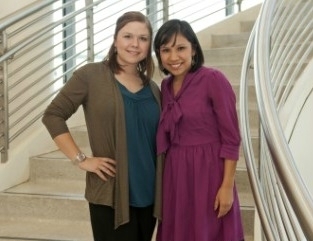 Mental Health America of Greater Houston is pleased to announce that Yvonne Mendoza and Lisa Richardson, undergraduate social work students at the University of Houston-Downtown, have been selected to receive the inaugural Betsy Schwartz Field Fellowship for the 2012-2013 term. During this period, each will complete a 400 hour internship at MHA to gain a greater understanding of issues in mental health and community need. Mendoza has a keen interest in macro-level social work practice and policy and will focus her experience in the area of advocacy in preparation for the 83rd Texas Legislative Session. Richardson plans to pursue a career as a medical social worker and will primarily work in the area of integrated health care and the Pro Bono Counseling Program. Both Richardson and Mendoza will also have the opportunity to engage in other program and issue areas within the organization. This annual fellowship honors the legacy of Betsy Schwartz, former President and Chief Executive Officer of Mental Health America of Greater Houston. Established by a gift from Joan and Stanford Alexander, the Fellowship provides stipends and internships to undergraduate social work students from the University of Houston-Downtown who have demonstrated a commitment to building a career in mental health and/or behavioral health. MHA appreciates the generosity of Joan and Stanford Alexander and of all donors who contributed to the Betsy Schwartz Field Fellowship. Your support honors the spirit and commitment of Betsy Schwartz' legacy to train new generations of leaders in the fields of mental health and behavioral health.